Most people don’t recognize how virulent and powerful mold is at proliferation no matter what the circumstances are. Mold is extremely capable of surviving even the direst of circumstances with ease, and then when put in the right environment it can begin to take hold, reproduce and spread before you even know it’s there. In a way it’s best to look at a mold spore the same way you would look at the chest-bursting, Sigourney Weaver impregnating, spore-like beasts from the movie Alien – though with less blood and gore, and more stinky, musty odor. The reason for this is because the aliens in the movie function much the same way that mold colonies do. 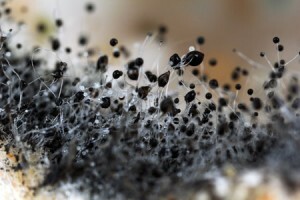 A mold colony is an infestation with individuals that can all be clones of one another, or they can be the spores of other mold colonies that have migrated and found a new home. Mold can proliferate in a variety of ways, from expanding the existing colony to jettisoning mold spores (baby aliens) into the air where they can travel on air currents and begin germinating anywhere with resources. Additionally, much like the aliens in the movie, mold has the ability to lay dormant when the conditions around it aren’t suitable for life. If only house plants would do this when we forget to water them. Much like the aliens in the movie, mold spores’ whole purpose in life is to continue colonizing new areas, and that means it will make a home out of anywhere it can, including under your sink where you least expect it. 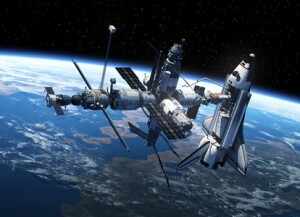 If mold spores had the capacity to leave the earth, they would colonize outer space too. But wait, they’ve actually already done so. The first life that reached outer space didn’t come in the form of a Russian dog, or astronauts making big leaps for mankind. In fact, it was common microbes like mold and fungus that hitched a ride inside the capsules and air tight compartments of the pieces that went up before people ever even felt weightlessness. It is rather incredible that these spores can survive and thrive in space, and that they were able to do so without any intended assistance too. Today still, mold and fungus is eating through cabling on the International Space Station and being as much a nuisance as it is on earth, except that now it is threatening the lives of those aboard. Just like in the movie, killing the alien spores is extremely difficult, and just when you think you’ve gotten them all, one can slip through and start a whole new colony. There are ways to kill mold and fungus, but they can be labor, time, energy and cost prohibitive, and this is why many people simply deal with a mold contamination for far longer than they should. Additionally, many people do not realize that the sooner these situations are taken care of, the less damage and havoc they cause. 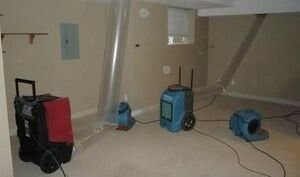 Getting on top of a spill immediately can save dramatically in the long run when it comes to mold growth. While the aliens in the movie would bleed acid that could eat through metal when they were damaged, real mold is slightly different thankfully. Mold spores that have not yet germinated can be eradicated with a healthy swab of bleach. For colonies that have just begun, the best way to eliminate it is to deprive it of any additional water source. Similarly for those hard to reach under the sink or near the sump pump areas where colonies have flourished, there is really no better solution than hiring professionals to prevent further degradation as well as spreading which can happen when they are disturbed. While mold spores may not be as violent as the aliens in the movie, they are way better at infesting your reality, and while you likely won’t be able to flush them out into the vacuum of space in order to eradicate them, there are options that will keep you safer than you’d be in a hyperbaric deep sleep chamber, so be sure to try bleach first, and if all else fails, call the experts today!